A moving ceremony took place during the County First Aid Training Officers Conference at the Cadet Training Centre (CTC), Frimley Park in November when a tree was planted in memory of Len and Bron Smith. Bron who died last December was the Brigade First Aid Adviser for 160 (Welsh) Brigade and had served variously as a member of the ACFA National First Aid Panel; County First Aid Training Officer; and first aid trainer at CTC since 1986. 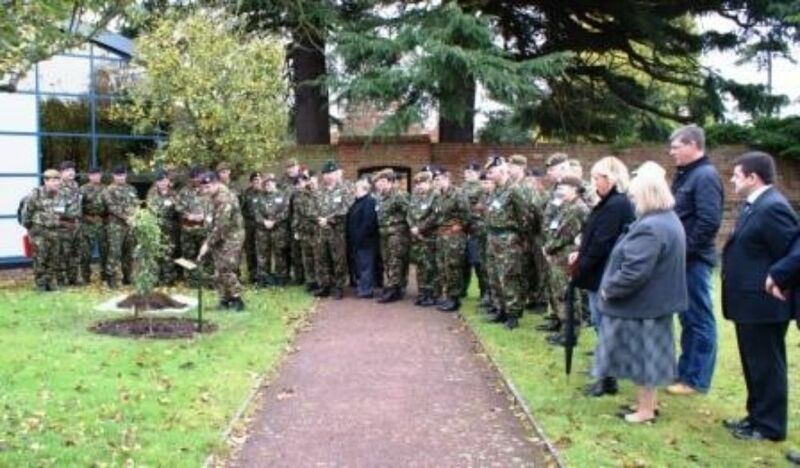 Her husband Len was the ACFA National First Aid Panel’s Liaison Officer responsible for the smooth running of the National and Inter Services first aid competitions as well as for administering the first aid courses at Frimley Park. Len passed away in February. Both are very sorely missed. 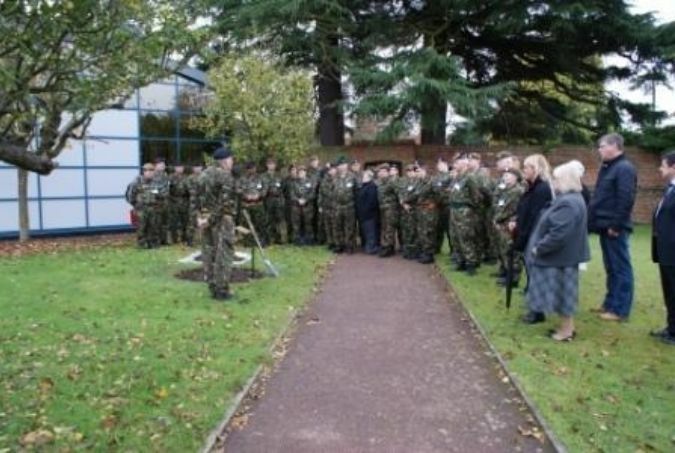 Lieutenant Colonel Alan Sharkey, Chairman of the First Aid Panel, addressed those present and reminded them of the impact Len and Bron had made on both the Army Cadet Force and first aid in particular. 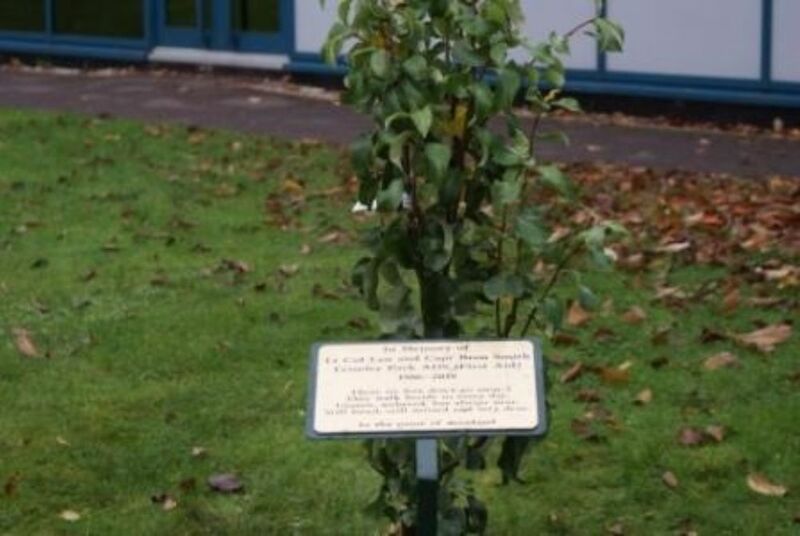 He then invited Major Fred Owen on behalf of the First Aid Panel to officially plant the pear tree, symbolic of the fact that Len and Bron were always together as a pair. 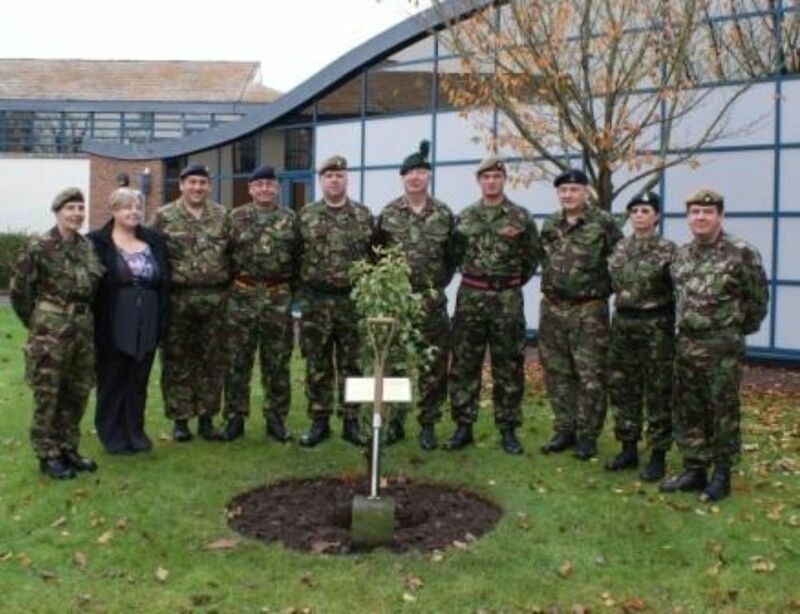 The tree will serve as a fitting reminder of the long and dedicated service of Len and Bron to the Army Cadet Force to all who pass through the Cadet Training Centre as they make their way into the teaching block.